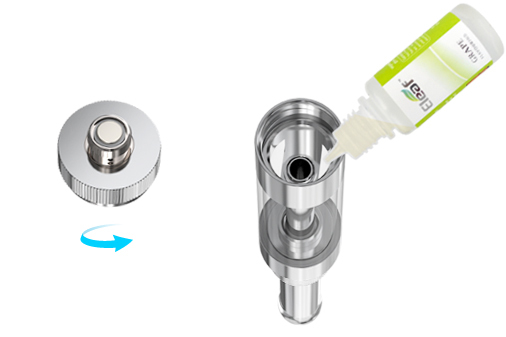 GS14 is a new generation of atomizer with fashionable exterior, made of steel and Pyrex glass. To some extent, it's a scaled-down version of GS16, and the only difference is in diameter. Glass Tube:From the clear window, the volume of liquid can be noticed at a glance so that you can add the liquid timely and correctly. The smooth surface: The seamless process makes the surface smooth enough to touch. 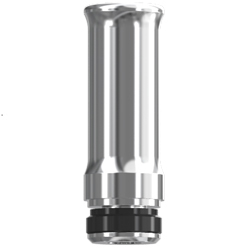 Changeable Mouthpiece: GS14 atomizer mouthpiece is changeable with ergonomic design. Users can have a more comfortable vapor feeling and replace that at ease. 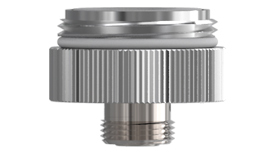 Unique Base: The surface treatment technology is straight grain knurling, easier to replace the atomizer head. Two types of Thread: There are two types of thread for your option: 510 thread and eGo thread. That improves the compatibility of GS14 a lot. 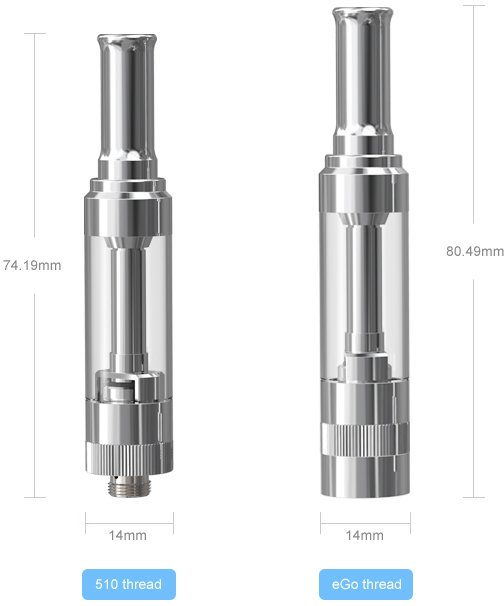 Replaceable BDC atomizer head: BDC atomizer head owns two value of resistances, acquiescent 1.8ohm and alternative 1.6ohm. The structure of dual coil ensures the large amount of vapor under low voltage, no burning taste under high voltage and no leakage. 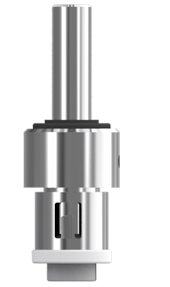 Unique Base: The surface treatment technology is straight grain knurling, easier to replace the atomizer head. 1. Screw the base off connector firstly. 2. Slowly refill the liquid into the two small holes along the tube. Pay attention that don't add liquid into the the air pipe. 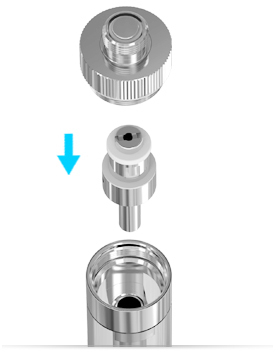 How to replace BDC atomizer head? 2. 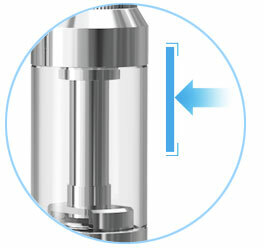 Pull out the BDC atomizer head from the base and replace a new one.